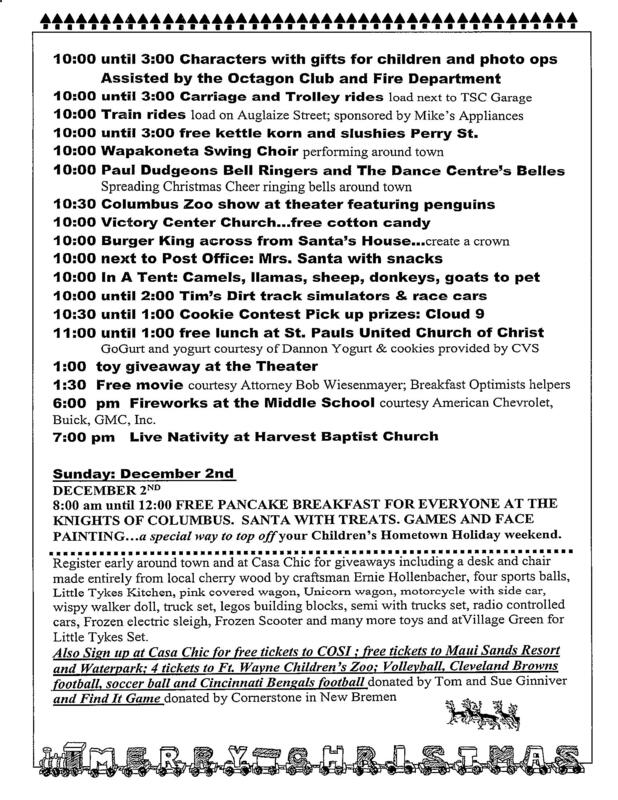 Children's Hometown Holiday was started to bring the spirit of Christmas and community back to our hometown of Wapakoneta. 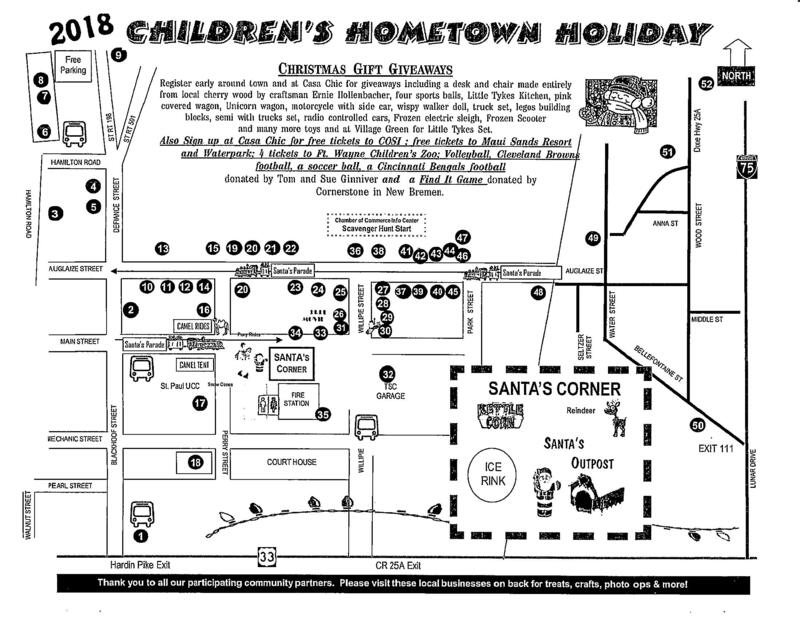 As we grow every year so too does the spirit of the holidays and the joy in the children's eyes. 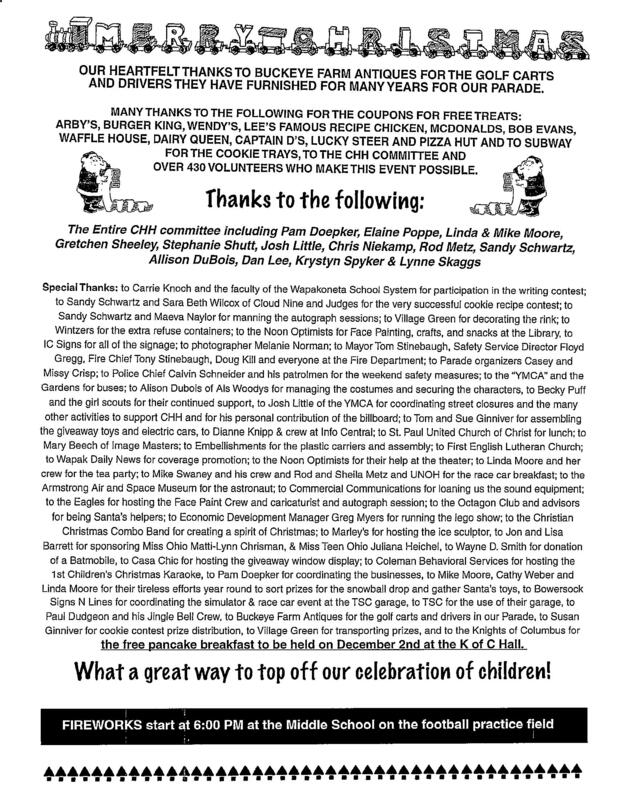 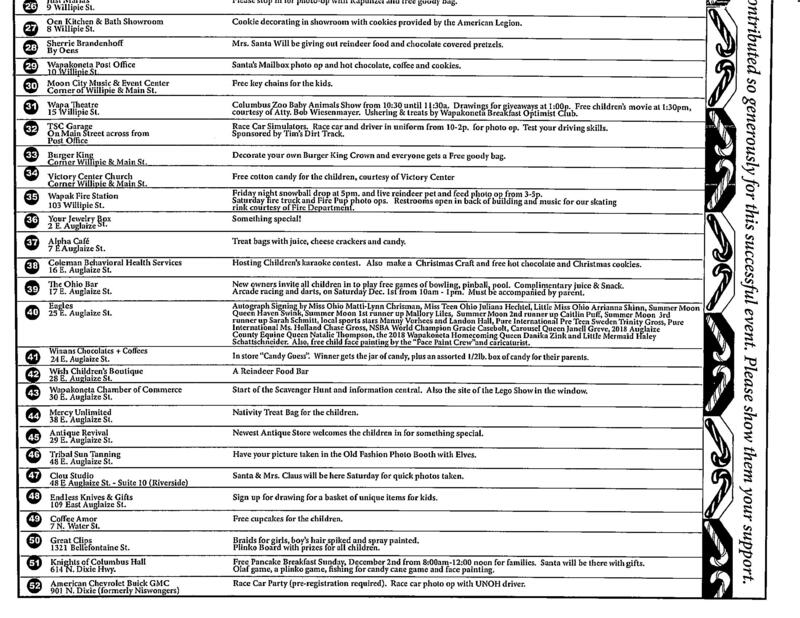 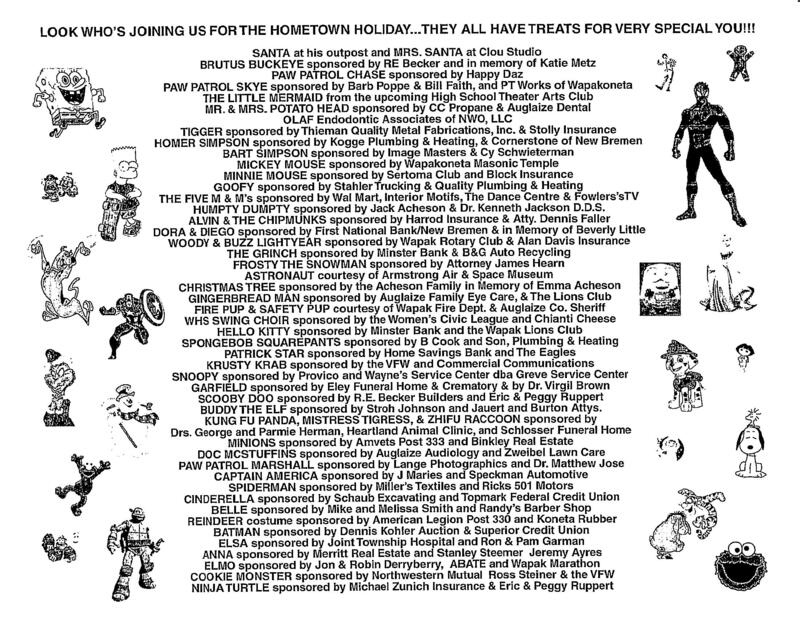 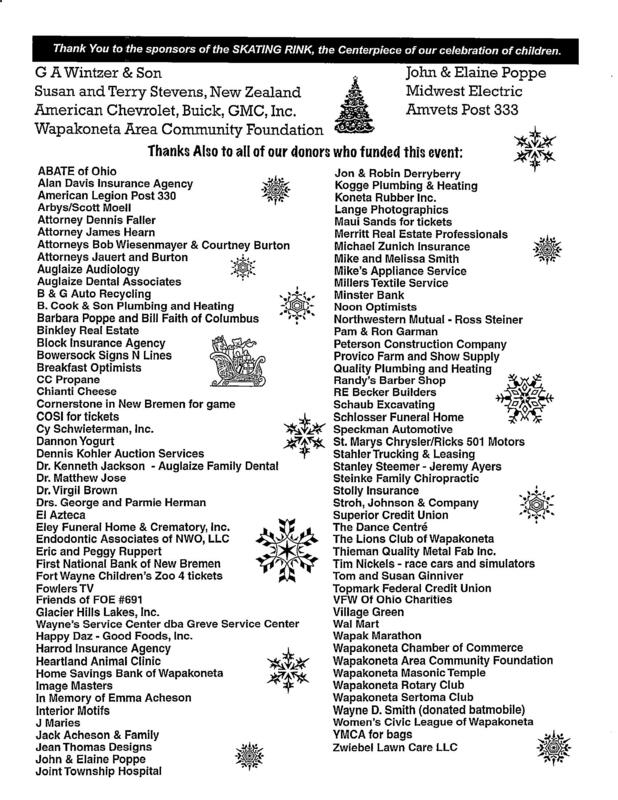 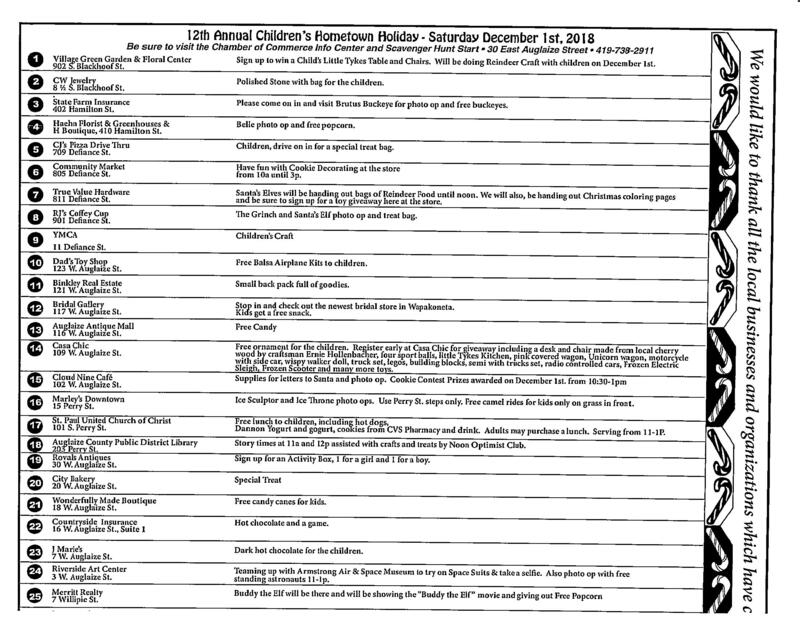 Children's Hometown Holiday is funded completely by generous donations of people in and around the Wapakoneta community. 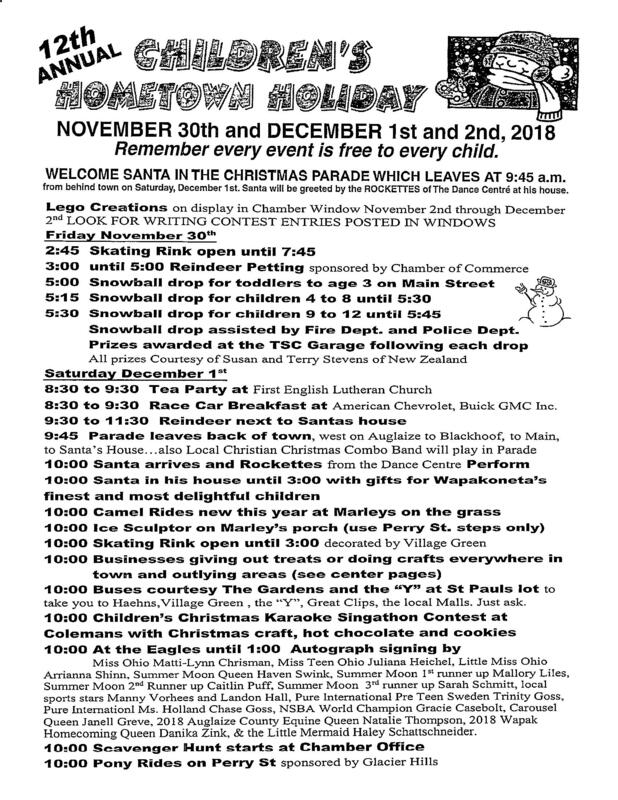 If you're interested in volunteering or donating in-kind please contact Elaine Poppe, Children's Hometown Holiday founder.